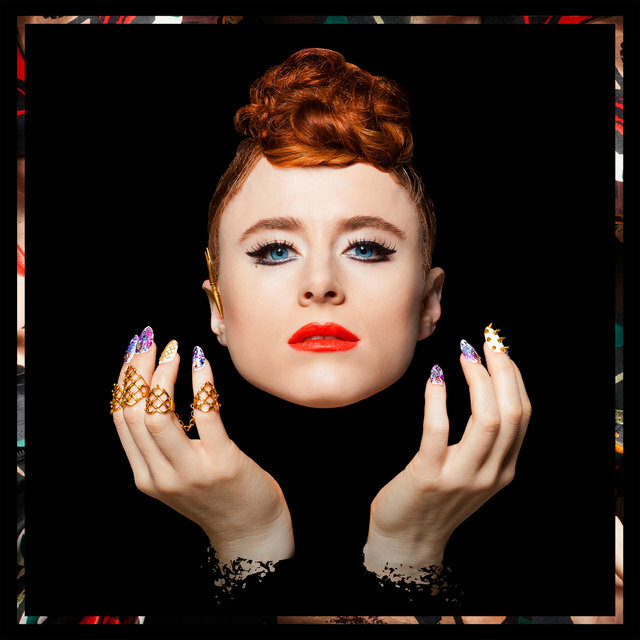 Kiesza is force to dealt with. At 25 years old, the Canadian pop singer, dancer and multi-instrumentalist has already served in her country’s royal navy and competed in the Miss Universe Canada. 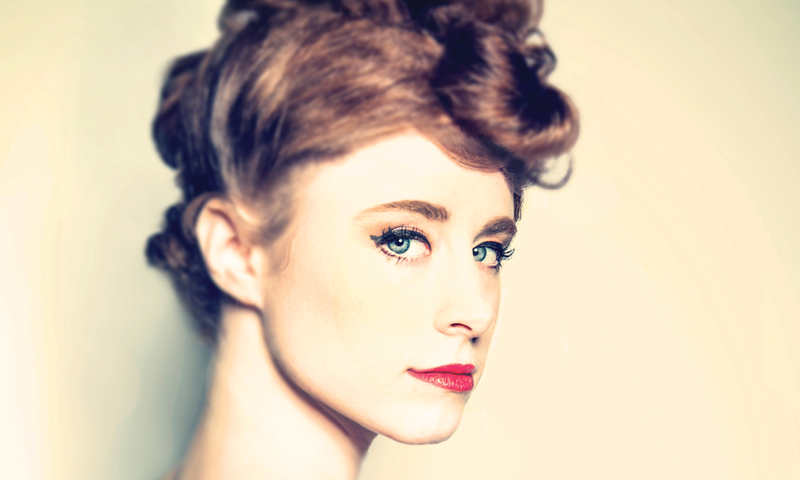 Although her strong new album, Sound of a Woman, is her proper debut as a pop artist, she made music for some years as a folk-influenced singer-songwriter, earning her a scholarship to the Berklee College of Music. In talking with Kiesza – birth name Kiesa Rae Ellestad - one earns the conviction that she did not get where she is by accident. She is highly intelligent, deeply reflective and undeniably hardworking. She’s also quick to defend pop as more than just a commercially successful genre that’s often looked down upon as a lower art form. We asked the rising alternative pop star to talk about her album, her sound, the difficulty of writing pop music, and the long, twisted path it took for her to arrive at her present state. Your album is called Sound of a Woman. Given the title, was feminism a subject you had in mind when you made the album? No, not at all – not to say that isn’t something I believe in. This is a very personal album. The title is more inward looking. The title song that the album gets its name from – “Sound of a Woman” – is about finding your own voice, your own strength, your own identity. The album as a whole is a love story. Can you elaborate on that story? Well it’s a single love story, and every song is a piece to that love story – though not in exact order. I didn’t plan it that way, but as I was writing the songs I could see the story realizing itself. Once I had that awareness, the rest just kind of flowed out of me. That is except the last song – that one took me two years to write. That’s a lot of time to dwell on one song. Well it was the first song I started, and until the last minute I wasn’t even sure it would make it onto the album. We had to extend the recording session to get it right. I waited a long time to find the right melody, the right verse; I felt so strongly about perfecting the chorus. I would have waited five years if that’s what it took to get it right. I’m a bit of a perfectionist. Feminism aside, it seems like more than ever, we’re seeing female artists like Beyonce and FKA Twigs – strong, confident and independent women not afraid to express their own idea of femininity. How do you think you fit in? I’d like to feel like I fit into that category – but I’m still new. I think confidence is a huge part of it. I love the person I am, I’m not afraid to take risks, and, at least recently, I know where I want to go. My career is self-propelled – I think that’s another part of the trend. A lot of these artists are writing their own songs; they’re in control of what they do. In the audience you’re getting the real person, and as the artist it gives you more strength and confidence. I hope people see me that way. In previous interviews you’ve said that you find a lot of your inspiration with ’90s dance music, and that’s definitely evident in some of these songs. What is it that attracts you to that sound? I really like soulful singing, and that’s characteristic of a lot of ‘90s music. There were a lot of strong, powerful women singing back then too. I’m also attracted to the pace of it – it’s a little slower than the EDM you hear these days. That said there’s more to these songs than ‘90s dance music. There’s some R&B, some hip-hip, and a piano ballad. But they do all sound reminiscent of that era, which I like. What other music do you take inspiration from? I listen to so much different music. I try to keep up with everything that’s popular right now. Then I try to check out what’s going on that goes against the grain. Can you mention anyone in particular? I’ve been following Die Antwoord for a long time. I love how they do something so unique and don’t care what anyone thinks. I adore Blood Orange and anything else touched by Dev Hynes. Miguel is a favorite of mine in the R&B realm. And I really love what’s going on in the U.K. right now with Duke Dumont, Clean Bandit, and the deep house sound. Then there’s always the classics: Lauren Hill and Erykah Badu always sound good, along with other women like Ella Fitzgerald and Aretha Franklin. I must admit I’ve always been a fan of Barbara Streisand – I have my mom to thank for that. You’ve said that you spent a lot of time searching for your own personal sound. How and why do you think you ended up with pop? I got into pop through being a writer. I knew I wanted to write pop songs before I knew I wanted to perform them. I spent years trying to research pop, seeing how it works. I’m a pop writer and a pop artist but that only does so much to describe what it is. “Hideaway” is being confused as a standard pop song, but the structure isn’t your average pop song. It’s quite unconventional in the way it is constructed. 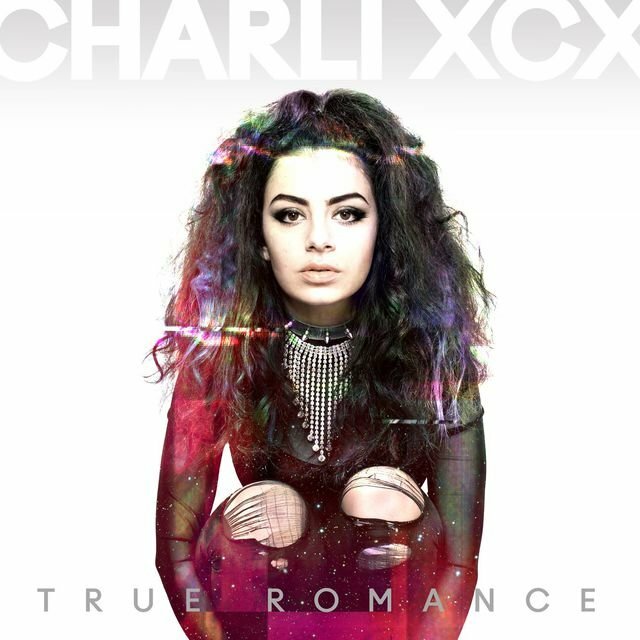 I like to think I have a lot in common with Charli XCX. We have different sounds but we’re both “pop” artists with similar stories. We built our own careers, we write our own songs and we became our own artists. What’s the secret to writing pop music? It’s a very intuitive, so it’s hard to teach. It requires you to compress complex ideas into very simple forms. It’s like when you turn on a song on the radio and immediately know you love it. As with any art form it’s important to get feedback, but when you write a good pop song you know it right away. Though I say it’s intuitive, I do believe it is something that can be learned. You have to be discriminating of your work and you can’t be afraid to start over again. You have to work at it – input means output. You have to listen to as much of other music as possible. Study the artists you admire – for me that was Michael Jackson, among others. Once you’ve got the ability to make a perfect song in their style, then you can start breaking the rules and making your own style. You sound like such a veteran for someone who’s coming out with their debut album. I’ve been at this a long time. I’ve been writing for seven or eight years. At first it wasn’t my focus to become a pop star – I was focusing on becoming a pop writer. I worked for all those years to refine my craft, so when I came to put out my album I felt like an expert. Did you think it would take you this far? I didn’t know where I was going to start out. I just followed what I loved doing and worked my hardest at it. I suppose I did always daydream of becoming a hybrid of Freddie Mercury and Michael Jackson. That’s funny to me since they’re such opposites – Michael is perfectly in control while Freddie is entirely out of control. You’ve noted that people are often very skeptical when it comes to pop music, because it is viewed as being an ‘easy’ genre. I heard that all throughout music school. People were always saying, “pop is easy,” “pop isn’t really music.” I would turn around and say “pop is the hardest music to write.” As simple as it sounds, that simplicity is the most difficult thing to achieve. If everyone could do it, then they would. You’ve tried on a lot of different hats in your life so far: Miss Universe contestant, Navy sailor, singer-songwriter, among others. How has this affected your music? What have you been searching for and what could possibly come next? I have been driven to try so many different things because I didn’t know what I wanted to do. I’m curious by nature, guided by passion, and a bit of a thrill seeker. The navy was one of those things. I wanted to experience that world, and go through boot camp, which I loved. But in the end it didn’t fit my personality. I like to stand out and there’s no room for that in the military. Music became my platform for covering my different interests. Within that world I got to try out rock, jazz, metal, classical. I came full circle to arrive at pop but I picked up something from everything along the way. It is a new thing to feel like I have an identity, which grants me enough direction to make an album and develop my career with a sense of awareness. Through my music I’m still afforded an opportunity to explore my other interests. I’m a visual artist too – I work with Photoshop and oil painting. I’ve done all the artwork for my releases so far, and I’m working on designing clothes too. So I think I’ve found what I want to be without having to stop trying new things.